Who else is ready for Halloween? I'm not necessarily ready but very excited. I love Halloween and this year will be even more fun because I will have my new little one by then and it will be his first holiday. :) So why not celebrate and start getting ready?! I came up with some Halloween treat bags to share. Just print them onto cardstock and stick on top of snack size ziplock bags. I am offering them on my facebook page for fans. So if you haven't become a fan yet please visit and do so and check out the "For You" tab often for more freebies! Hope you enjoy them! So adorable! 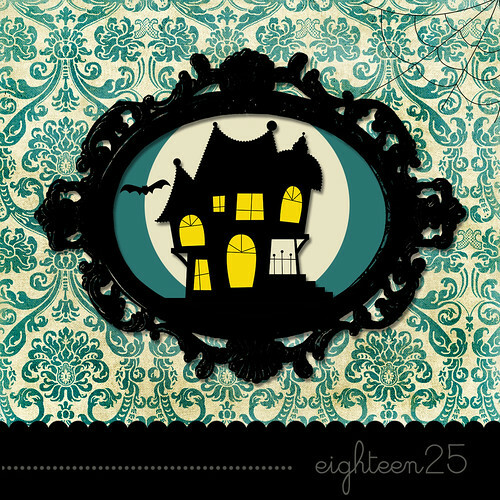 Love these toppers! These are SO cute! 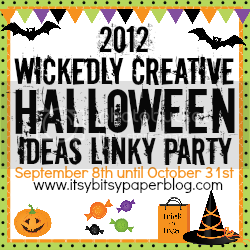 I hope you'll link up to my Wickedly Creative Halloween Ideas Party (fall ideas too). These are so fun, Monica! Cute!